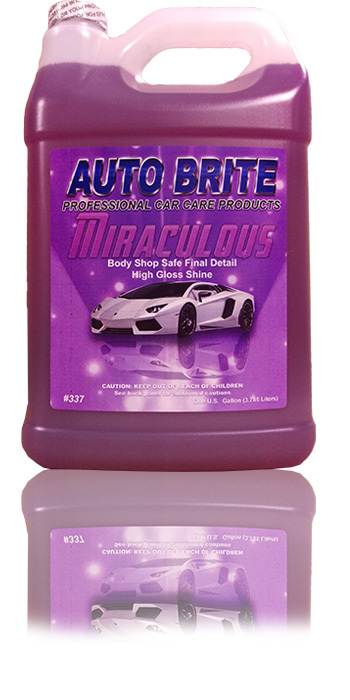 Miraculous - works on all painted surfaces, clear coat, plastic, glass, metal, vinyl, and rubber trim. Removes surface dust, finderprints, and smudges. Excellent lubricant lubricant for use with clay to remove overspray. Body shop safe. Foam Pad Polish - 32 OZ.